Would you like to know which lottery offers the biggest jackpot in the world? Or, is your interest focused purely on UK lotteries? Then you are in the right place. Look at our table of both UK and global jackpots, updated each day. The table is in a top-down order. Each lottery displays its jackpot in a currency used as a standard currency in the country of origin. List of all worldwide lotteries including UK lotteries. The list is in a top-down order reflecting today’s exchange rate. If you can’t stand the temptation of the huge jackpots and want to bet you can do so over the internet by pressing the green “Play now” button. No need to travel around the globe. No need to waste your time. You can play each lottery from the comfort of your home. 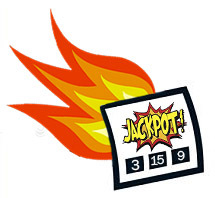 Select a particular category and read about the historically biggest jackpots in the world.